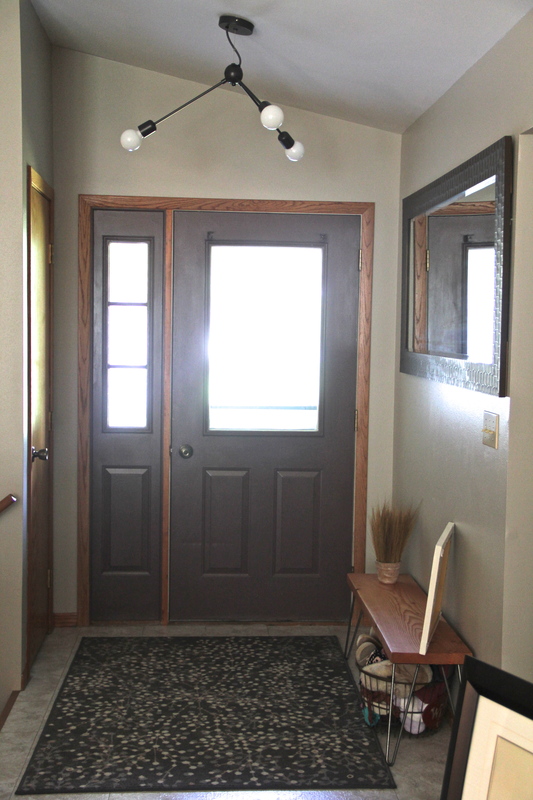 When we moved into our home last year we were graced with the lovely entry light shown below. To me the style was a mix between Medieval times and Moroccan/ Mediterranean beauty. Now don’t get me wrong- each has it’s place and can be styled nicely with certain accessories. 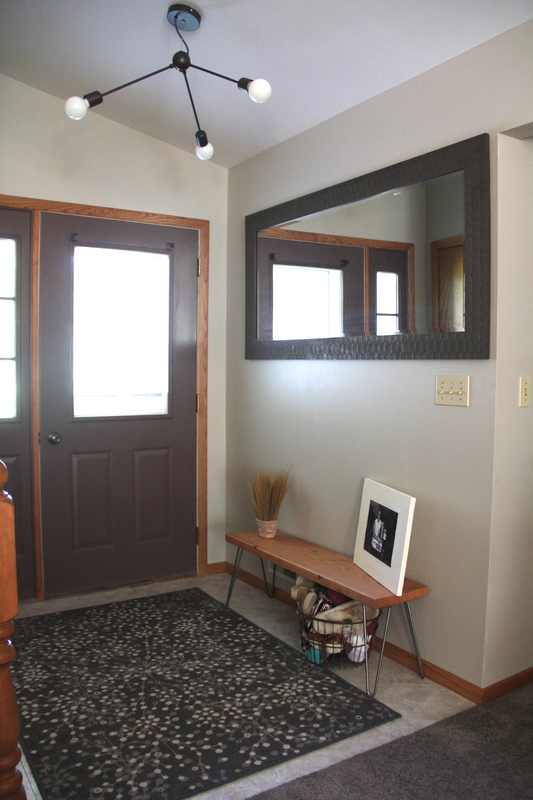 I just happen to not have either of those styles in my home, so that was something I wanted to switch out almost immediately. Well a year later, it finally happened! Here’s the before shots of the light. I wasn’t digging the “cage” look. 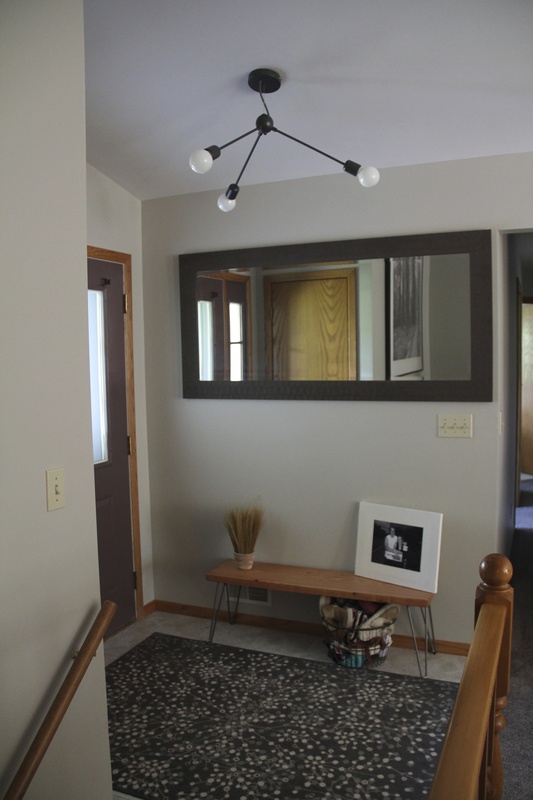 Most of my decor is more modern or vintage so we said goodbye to this light. I had been watching a light from CB2 to go on further sale for the past 6 months. 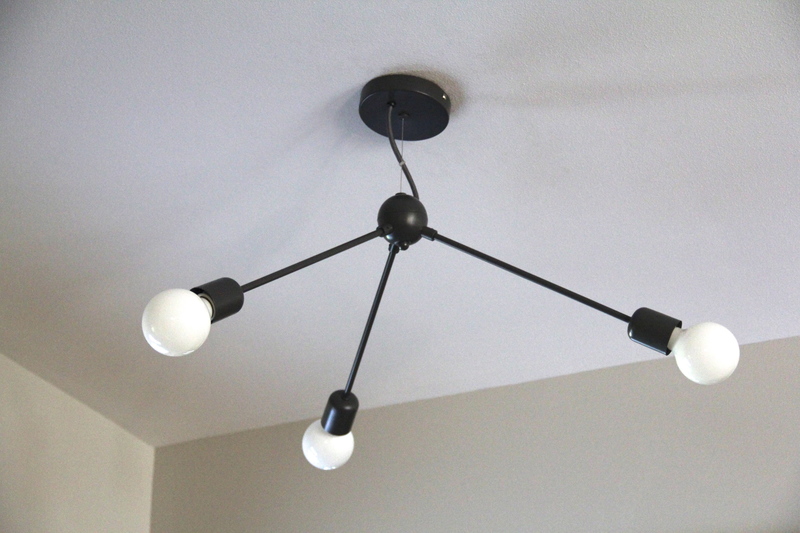 It’s called the Satellite pendant light and when I originally saw that it was $79.99 marked down from $100 I wanted to buy it. But the sensible husband of mine said to wait and find something cheaper. So as any good wife does, I kept revisiting the website every so often to see if it was even available anymore, much less any cheaper. Well, about a month ago I saw that it had dropped in price to $59.99. I jumped on that deal so fast after having to convince Ben that this was a good deal and they wouldn’t last long. 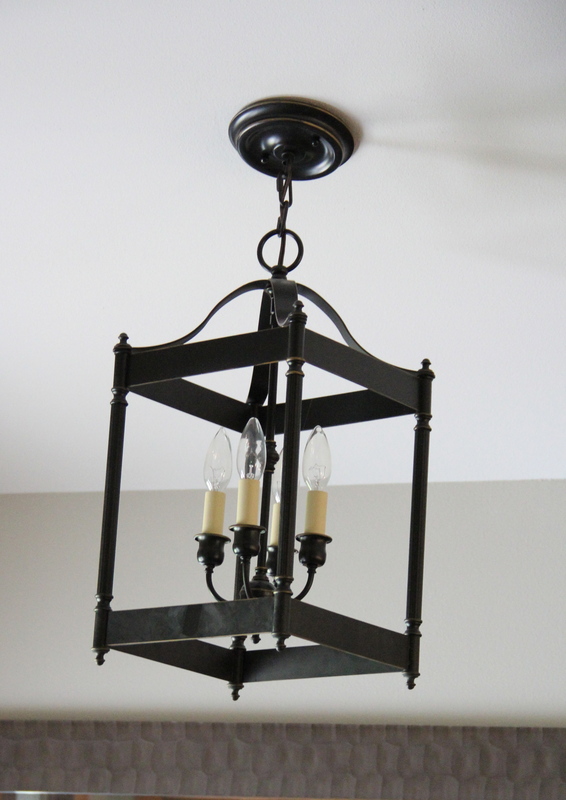 He agreed and now we are the proud owners of this lovely modern fixture in our entry. By the way, rewiring a light might seem intimidating and scary but it was a very easy two person job. Thank you to my brother Jord for helping us put it in! Here’s the final product. I don’t know if it trips your trigger, but I am in LOVE with this light! For us- it’s an improvement and for the price, we couldn’t go wrong. I just love how this makes the space appear more modern and clean. My Mom keeps saying it goes very nicely with the shapes in the rug too, which I couldn’t agree more. 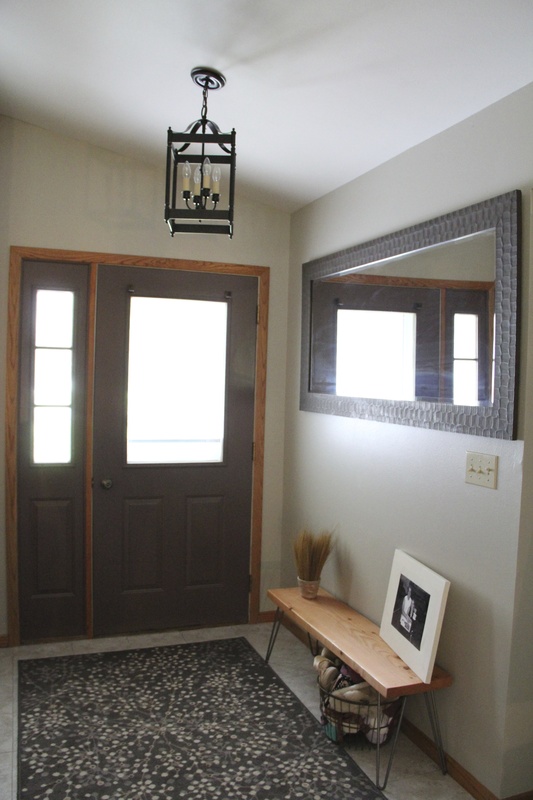 So whether you are looking for a quick & easy update in your home or just a simple project to accomplish- updating a light can make a huge difference to the look of any room. Give it a try and tell us how it goes!